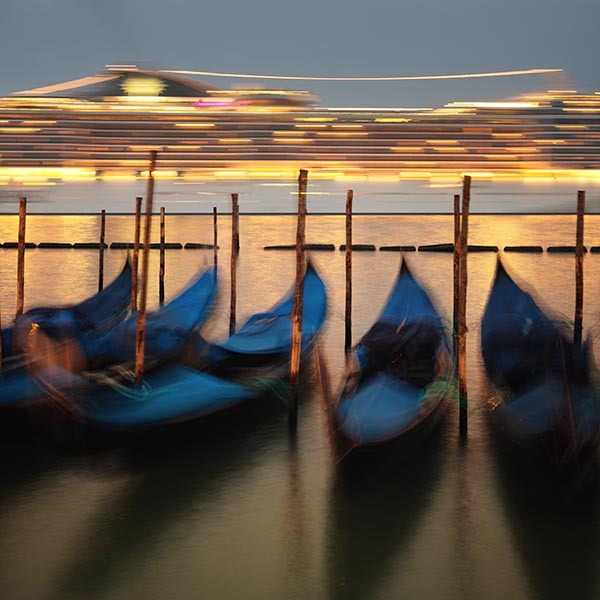 A long exposure photo of a huge cruise ship making its way along the lagoon in Venice. In the foreground is a row of gondolas moored near St Mark's Square. It was announced recently in the Italian media that cruise ships like this one that exceed 96,000 tonnes would be banned from passing so close to St Marks Square.